Mr Mohana Kumara is 20 year old college going kid. 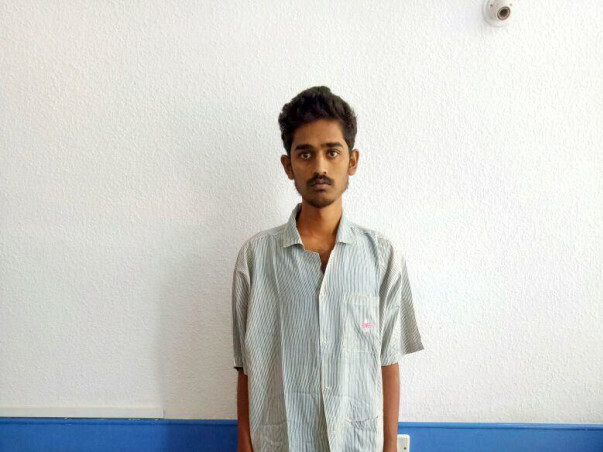 He has been diagonsed with a severe case of Dilated Cardiomyopathy with Severe LV dysfunction EF - 20% for which he needs Heart Transplantation. 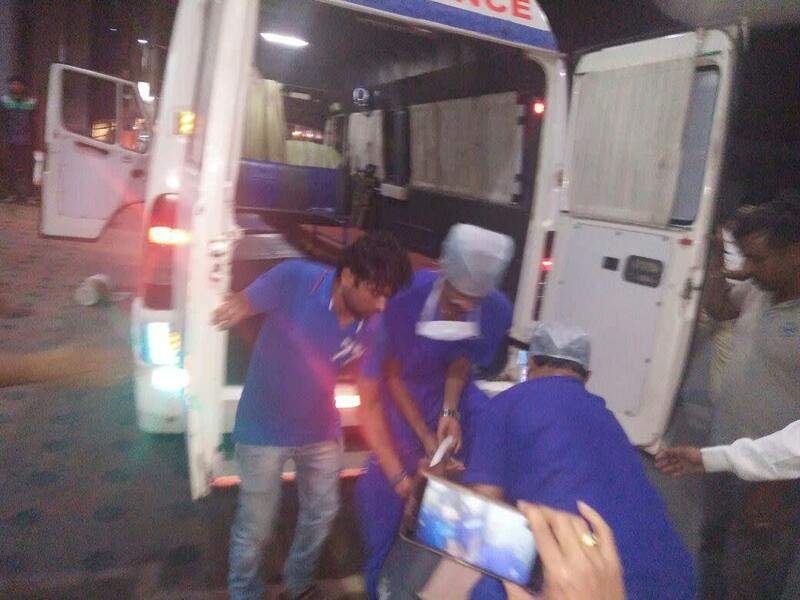 He is currently in the ICU and is being given medicines to keep him alive. Hence needs to urgently needs to undergo a heart transplant. He cannot afford this procedure and is in need of your help. 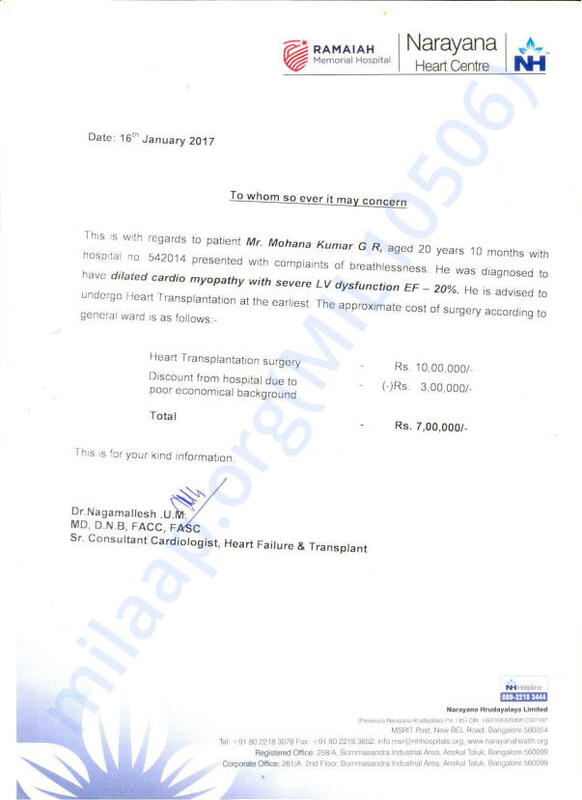 Mohana Kumar got his heart transplant operation done on 21st February. 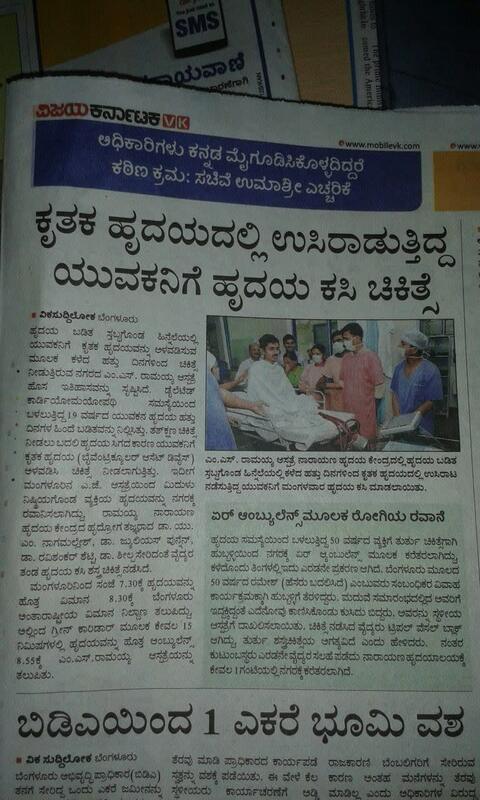 This was the first time a Heart was airlifted from Mangalore to M S Ramaiah Narayana Heart Centre. Green corridor was created from Kempegowda International Airport to M S Ramaiah Narayana Heart Centre. A distance of 33kms was covered within 23minutes. Mohana Kumar is currently under observation and he has been progressing very well. We thank all the donors for your timely support to help Mohana Kumar. We would also like to extend our thanks to the Bangalore Traffic Police for their kind support. I am Debotri Roy, an open fellow at Milaap. Here is an update on Mohana's health. I spoke to Reena, the coordinator, on 8th February 2017. Mr. Mohana Kumar was admitted to the hospital on Monday, i.e, 6th February. "He has been registered in the organ distributor community and is currently waiting for the donor availability", said Reena. Although the date for the heart transplant has not been fixed, it is expected to be done by the end of this month. Presently he is stable on medication. " The money has been arranged with all your support and contribution. We just wanted to say THANK YOU in the biggest way. ", said his family members. Thank you once again for coming forward. We will keep you posted on his progress. Wish him all the best of luck to recover soon !